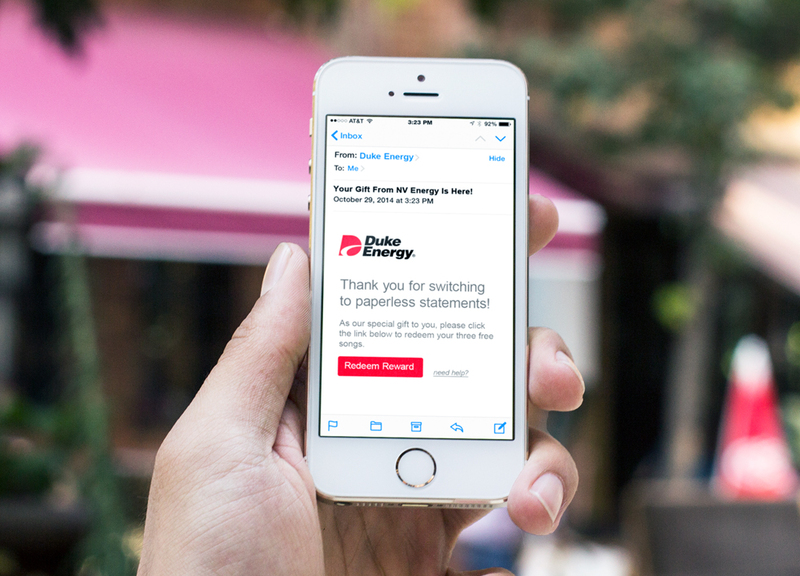 Duke Energy's eBill Adoption team was tasked with a significant challenge of reaching 130,000 paperless conversions during the 2011 calendar year — close to a 40% increase over the previous year. They implemented the eBillingRewards' solution in a 3-month campaign during Q4 to digitally deliver music downloads to customers who converted to electronic billing. 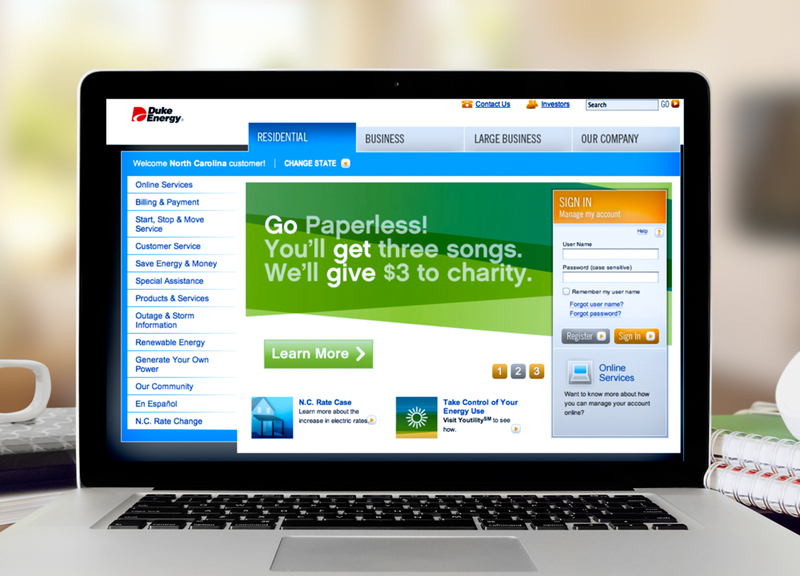 The campaign used prominent landing pages as calls to action to encourage customers to go paperless. The popular, low-cost music downloads were then easily delivered via branded thank you emails. Duke Energy extended the campaign through to Q1 of 2012. Ultimately, the program exceeded projected goals by 35% when Duke Energy reached 175,000 converted accounts.